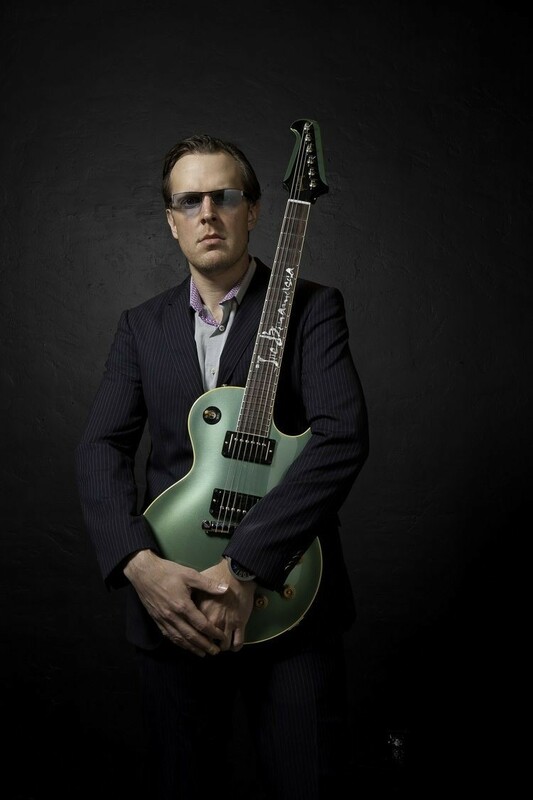 When: Saturday, February 25, 8 p.m.
BLUES-ROCKER Joe Bonamassa has made a habit of having a specific musical direction or theme in place before recording many of his solo albums. For his current studio album, Blues of Desperation, the concept came from Bonamassa’s long-time producer Kevin Shirley, who wanted the album to feature Bonamassa on guitar, bass and—here’s the twist—two drummers. Bonamassa tell us he wasn’t sold on the drummer format when Shirley presented it. “You’d probably have to ask the two drummers, Greg (Morrow) and Anton (Fig), and they’d probably say the same thing. ‘We don’t think this is going to work, frankly,’” Bonamassa says. The presence of two drummers on Blues of Desperation isn’t quite as apparent as it is, for instance, on Allman Brothers Band albums, where that group’s tandem of Butch Trucks and Jaimoe tended to play different, but complementary patterns. A couple of songs (“Mountain Climbing” and the title track) have the kind of thundering beats Led Zeppelin’s John Bonham brought to that band’s music. The rolling drums on “Distant Lonesome Train” give the song a cool tribal blues feel. 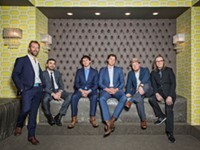 The potent rhythms are a selling point on Blues of Desperation, but so are the meaty guitar riffs and leads and vocal melodies that turn tunes like “This Train,” “Mountain Climbing” (with its great descending signature riff) and the notably bluesy, string-accented “No Good Place For The Lonely” into standout rockers. The use of only bass and drums also brings out the best in Bonamassa, one of rock’s most acclaimed guitarists. He has plenty of room to work and not only does he deliver attention getting riffs, he builds extended solos into several songs (“No Good Place for the Lonely,” “Distant Lonesome Train”) that build tension and drama and seem far more crafted than they actually were. Instead, much of the music—including the solos—was recorded spontaneously live off the floor. The songs on Blues of Desperation suggest Bonamassa is doing some of the best songwriting in a career that now stretches back more than 25 years to when the Utica, New York native arrived on the scene as a pre-teen guitar prodigy playing some 20 shows with B.B. King by the time he was all of 12 years old. But the real coming out party for Bonamassa, 39, came in 1995, as a featured member of the band Bloodline. That group, though, broke up after one album, and Bonamassa launched his solo career. His first significant impact came with his sixth album, 2007’s Sloe Gin. The title song of that remains a cornerstone in Bonamassa’s catalog. He has followed the Sloe Gin album with seven more studio albums, including such well received titles as The Ballad of John Henry (2009), Black Rock (2010) and Driving Towards the Daylight (2012). But where Bonamassa, up to that point, included a good number of covers on most of his albums, he has focused on all-original material on Blues of Desperation and his 2014 album Different Shades of Blue. 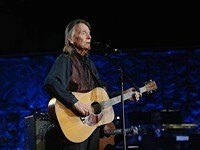 And after writing his original songs on his own, these two most recent albums have seen him co-write with several seasoned tunesmiths, including James House, Jeffrey Steele and Jerry Flowers. Bonamassa said the skills of his co-writers nicely complement his strengths as a songwriter. Bonamassa is showcasing a good chunk of Blues of Desperation on his current spring tour. He using just one drummer live (Fig), but along with Michael Rhodes on bass, has added keyboards (Reese Wynans, formerly of Stevie Ray Vaughan’s Double Trouble), trumpet (Lee Thornburg) and saxophone (Paulie Cerra). Touring is far from the only activity on Bonamassa’s agenda in the coming months—no surprise for this prolific artist who has released a steady string of live DVDs to go with his studio albums and done several side band and collaborative projects along with his own albums. 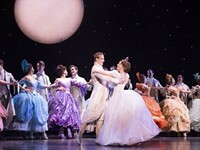 A CD/DVD set, Live at the Greek Theatre, was­ released last year. According to Bonamassa, a show recorded on the 2015 “3 Kings” tour in which the guitarist honored B.B. King, Albert King and Freddie King with a show made up of songs by those three blues legends is also going to get released. “I’ve seen the DVD and it’s awesome,” Bonamassa says. He also plans to release a DVD of his acoustic full band shows from 2015 at New York City’s Carnegie Hall. Also on the schedule is a fourth studio album with his supergroup, Black Country Communion. The project will come as a surprise to many fans of the group, which also includes former Deep Purple bassist Glenn Hughes, drummer Jason Bonham and Dream Theater keyboardist Derek Sherinian. In 2012, it appeared Black Country Communion was finished after Bonamassa and Hughes got into a spat over the amount of time that would be devoted to the group. Bonamassa didn’t address any specifics on the subject, only to say that issues that existed have been resolved. “Yeah, it’s all good,” Bonamassa says.